Comments, questions, suggestions or concerns? Please use our on-line comment card available through the link below. We would love to hear from you about how to make our service to the legal community better. Lost your closing form, or don't want to use a stamp? Please feel free to use the link below to access our on-line closing form. 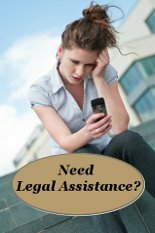 Email gdvlp@gdvlp.org about your experience as a VLP attorney. How to earn CLE credit for Pro Bono Service? Below is a brochure about how attorneys can receive CLE credit for their pro bono service through the VLP. Also below is the Ohio Supreme Court Form 23, which needs to be completed and the original sent to the VLP. We will submit requests for credit to the Ohio Supreme Court on behalf of attorneys who volunteer their time and submit a completed Form 23.